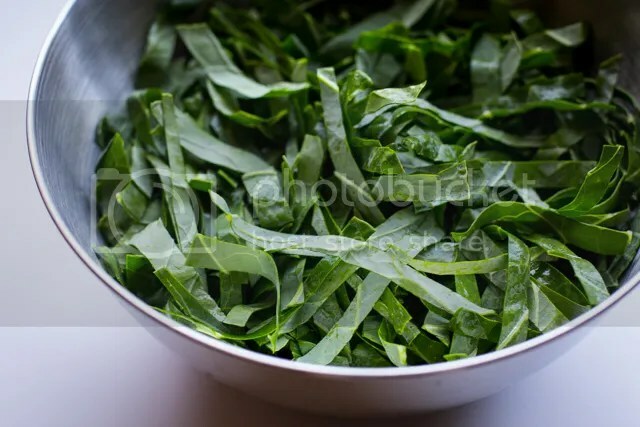 A lot of people like to roll their collards before slicing, but I prefer to slice down the leaf to remove the stalks, then stack all of the leaf halves together and slice everything all at once. I’ve seen some variations of this recipe that sliced their greens even more thinly than in the picture above, to the point of being shredded. I say either way is fine. 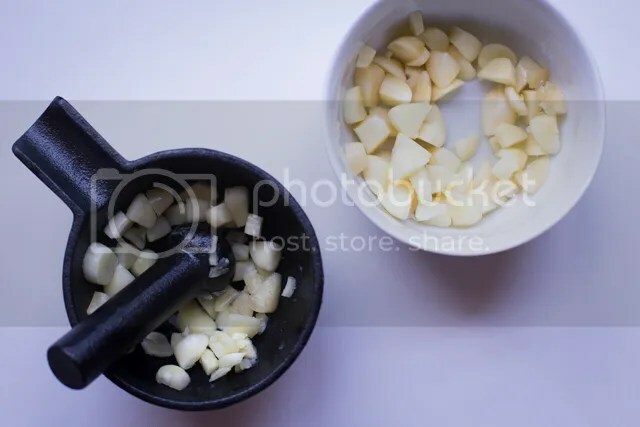 Using a mortar and pestle or the flat end of a chef’s knife, smash the garlic chunks. 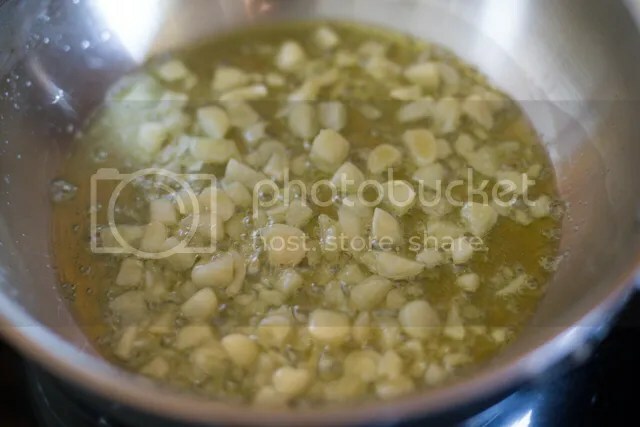 Heat the olive oil in a large skillet on medium heat for about a minute, then add the garlic. Sauté until aromatic, about one minute, then add the collard greens, salt, and pepper. Reduce heat to med low and continue to sauté until the greens are softened and vibrant in color. Should only take 3-4 minutes. Squeeze in the lime juice, add more salt and pepper to taste and serve immediately. I have never had them and they’re sitting in my fridge. I’m new to AIP, only about 3 weeks in. I’ve never been a huge veggie eater. I’d eat them once or twice a day so I only got in 2-3 servings. I find eating 8-10 nearly impossible and am having trouble staying away from fruit! I mean, what is allowed. I know I exceed it daily! I’m gonna try this recipe for dinner. Thanks. Hi Helena, collards are a flat-leaf kale, pretty hard to find in the UK. It’s sometimes referred to as “borekale” so that might help. I live in the UK as well and have the same problem! 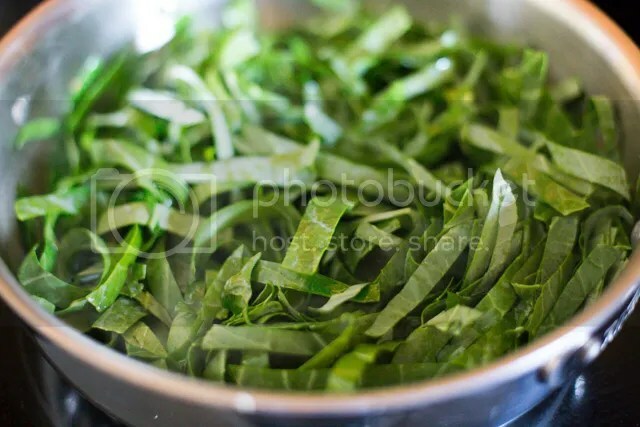 I usually use spring greens in any recipes where collard greens are called for. They look almost identical and seem to work equally well in all the recipes I’ve tried. My Daddy was raised on a farm with farm cooking and huge vegetable gardens to can, and my grandmother always boiled the whole collard leaves for about an hour so they wouldn’t be so tough. With bacon grease, of course. Even tho tasted good, I’m sure there was no nutrition left! So I think I will try cutting out the rib and slicing thinly, and throw a potful of garlic like YOUR recipe. I like collard greens, lots better than turnip or beet greens. Milder flavor. I had to add water at the end and steam/boil. Recipe looks simple and really tasty but I would swap olive oil for coconut oil so it’s not being heated and altered. Even on a low temp olive oil can change apparently. I just use it raw drizzled on salads and veg. Definitely trying this recipe out though, thanks so much for the inspiration for using greens, especially for us blokes who aren’t that creative in the kitchen! Pingback: Tasty Treats | Oh, Twinkle. I just made these tonight. What an easy & delicious recipe! It’s going to be in our regular recipe rotation from now on. Thanks so much for sharing (I’ve always been a little afraid of collards.) P.S. I didn’t have a lime, so I used lemon instead, and it worked very well.